At Putnam Subaru a few things are obvious: we love Subaru vehicles and we love people. If you're an auto-lover like us, then nothing brings a smile to your face more than a day spent around vehicles. We get it. You love the way that new cars smell, the feeling of sliding behind the wheel and learning more about all of the specs and features of your favorite models. The staff here at Putnam Subaru really have their dream jobs. Getting to spend each and every day around new Subaru inventory and helping drivers find that car or SUV that they've been dreaming of is a winning combination. 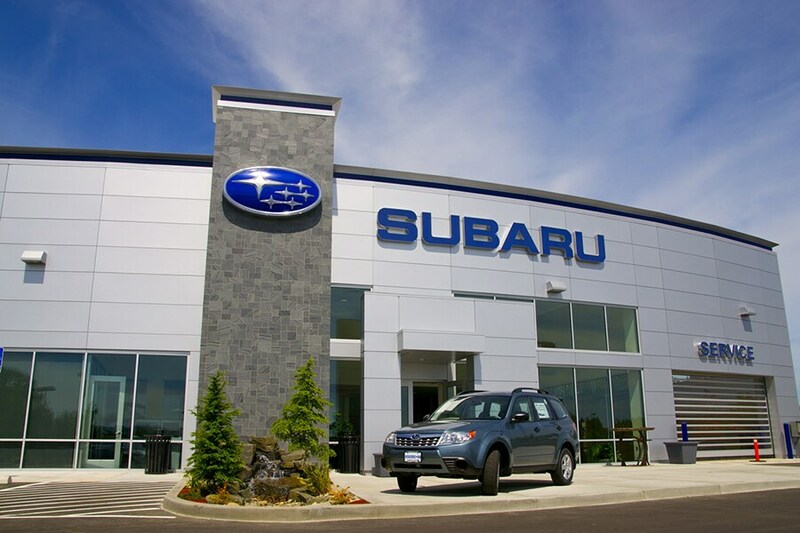 We offer a wide inventory of both new Subaru vehicles and pre-owned Subaru inventory. Whether you're in the market for a sporty Subaru BRZ, a rugged Subaru Crosstrek, a comfortable Subaru Legacy we have great deals on all of these popular models and many more. It's not all about the cars, though: people make our business so interesting. We believe in taking the time to get to know the drivers who come to visit us. Whether you're a teen buying your first vehicle, the parent of a growing family which needs an SUV, or an adventurer who likes to fly solo, we'll help you find the car or SUV that fits you perfectly. Most of us daydream about winning the lottery and walking into a car dealership to select our favorite model, then handing over a check to pay for it. If this isn't your reality, at least not yet, then you'll need to apply for an auto loan or lease. At Putnam Subaru, we offer a variety of finance options for our customers. Don't bother with the hassle of running to and from a bank or credit union across town. We'll save you both time and energy, taking care of the entire car-buying process in one easy transaction. If you have a less-than-stellar credit history, or have no credit at all, we encourage you to come in and chat with us. Our finance team is incredibly knowledgeable and will help in any way they can to get you into the new or pre-owned Subaru that you have your eye on. At some point in the life of your new car, you're going to need repairs. Whether your car is squealing when you apply the brakes, revving when it shouldn't, or making a clunking, banging or other unseemly noise under the hood, it will require a look. When you need car repairs for your Subaru - whether you bought it here or somewhere else - please remember our tidy service center. We have a staff of highly-trained automotive technicians, ready and willing to help. We use only genuine Subaru parts too, giving you peace of mind with every visit. Why Buy at Putnam Subaru? Let's recap: you'll find a wide selection of the newest and most popular Subaru models here in a variety of trim levels. You'll get friendly, helpful service without any high-pressure sales tactics. You'll enjoy competitive finance rates. Our service center is top-notch and our highly-trained technicians will take care of your smallest car maintenance needs to its most serious repair. So why go anywhere else? We're looking forward to your visit here at Putnam Subaru. Please get in touch if you have any questions prior to stopping by. We're located in Burlingame, CA, just a short drive from nearby San Francisco, San Mateo, and the Bay Area. Visit Putnam Subaru in Burlingame, Home of the Red Carpet Service, today. View driving directions to 85 California Dr., Burlingame, CA, 94010 from anywhere in the San Francisco Bay Area. Head over to Putnam Subaru to test drive a new Subaru, order genuine Subaru parts, or schedule routine maintenance for your Subaru.